The vintner invests in the wine-producing facility and envisions a hospitality experience like no other. Wine Enthusiast’s 2010 Man of the Year Bill Foley, whose portfolio consists of nearly 20 wineries on two continents, is now a minority investor in Crushpad—a custom luxury wine-producing facility that began as a little San Francisco startup before moving to Napa Valley last year. 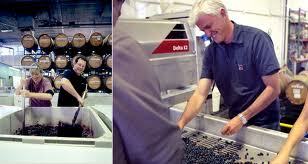 The company will now relocate to Sebastiani Vineyards and Winery in Sonoma, a Foley property. Foley’s reasons for investing in Crushpad include the company’s vast customer base.